In the story on Jesus feeding the 5,000 there is a simple point that we are to learn. “Everything in our service for the Lord is dependent on His blessing”. In this story, the feeding of the 5,000, the supply in hand was totally inadequate to meet the demand, and yet the demand was met. “The meeting of need is not dependent on the supply in hand, but on the blessing of the Lord resting on the supply.” Which leads us to ask a question, “Do we really seek the Lord’s blessing in our lives?” Do you really want and seek God’s blessing on your personal life, your family, your service for the Lord, and on His church? There are a number of men in Scripture whom God blessed: Abraham, Jacob, Joseph, and David are prominent examples. But Ezra is also a man whom God blessed, even though he is not so well known as the others. We first meet him in chapter 7 of the book that bears his name. There is a 57-58 year gap between the events in chapters 6 and 7. The temple had been rebuilt under the ministries of Zerubbabel and Jeshua, aided by the preaching of the prophets Haggai and Zechariah. The exiles that had returned to Israel during that first wave were either dead or very old by now. They had settled into the land and, as we will see, in many cases had begun to blend together with the unbelievers of the land. The walls of Jerusalem had not been rebuilt, leaving the city vulnerable to attack. God raised up Ezra to bring spiritual reform to His people. Ezra was born in Babylon and had close connections with King Artaxerxes. No doubt he enjoyed comfortable living conditions there. But he was burdened with the low spiritual state of the exiles that had returned to the land. Ezra was willing to give up his comfortable situations in Babylon and endure the hardship and hassles to bring reform to God’s people. But how could he accomplish this overwhelming task? The answer occurs in a phrase that first occurs three times in our chapter, and then five times in the rest of Ezra and Nehemiah: God’s hand was on these men (Ezra 7:6, 9, 28; 8:18, 22, 31; Neh. 2:8, 18). God’s hand is another way of saying God’s blessing. God blessed these two men and their labors for Him. If we want His blessing or hand to rest on us, then we need to study their lives. We could add more factors, but limiting ourselves to Ezra 7, we learn that . . .
God’s blessing flows through family lines. Verses 1-5 trace Ezra’s family lineage back through 16 forefathers to Aaron the chief priest, brother of Moses. There are a number of gaps in the list. Seraiah (7:1) was the high priest at the time of Nebuchadnezzar, who executed him about 130 years before (2 Kings 25:18-21). Thus Ezra was a great or great-great grandson of Seraiah. The answer is, first, never ask God to be fair with you! You want mercy, not fairness. But, second, there is great hope for you, because you can be the start of a long heritage of God’s blessing on your children and grandchildren. You can’t do anything about your ancestors, but you can do something that will positively affect your descendants. Psalm 128:1 promises, “How blessed is everyone who fears the Lord, who walks in His ways.” It goes on to show how the wife, children, and grandchildren of the man who fears the Lord will be blessed. No matter how rotten your upbringing, if you will follow the Lord, you will be blessed and you also will be the source of great blessing to your children and grandchildren, perhaps for many generations. This genealogy also should serve as a warning to thoseÂ who have been blessed with godly parents. Aaron had sons who were consecrated as priests, but they did not obey the Lord and He struck them dead with fire from heaven (Lev. 10:1-3). Aaron also had a grandson, Phinehas (Ezra 7:5), who took bold action for God so that a plague was stopped among the Israelites. Israel had fallen into the insidious plot of Balaam, who counseled the Midianite king to seduce Israel into idolatry through intermarriage. An Israelite man brazenly had brought a Midianite woman into his tent in the sight of all Israel. Phinehas took a spear, went into the tent, and pierced them both through, probably while they were in the act of immorality! The lesson for thoseÂ who have godly parents is, you can either disobey the Lord and deprive your descendants of God’s blessing, or you can be bold in obeying the Lord and bring His blessing on your descendants. But the point stands in Scripture, that God’s blessing flows through family lines. 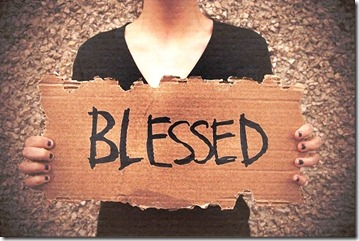 God’s blessing refers to God’s doing above and beyond what human effort can produce or expect. Just before He fed the 5,000, Jesus asked Philip, “Where are we to buy bread, so that these may eat?” John adds, “This He was saying to test him, for He Himself knew what He was intending to do” (John 6:5-6). Philip does a quick calculation and answers, “Two hundred denarii worth of bread is not sufficient for them, for everyone to receive a little.” Philip and the disciples didn’t have 200 denarii, which was about 200 days’ wages. Even if they could scrape together that much, it would not have been sufficient for everyone to receive just a little! God’s hand of blessing on Ezra is seen in that an unbelieving king “granted him all he requested” (7:6). The king’s grant is stated in the letter that he gave to Ezra (7:12-26, written in Aramaic). The king granted five things: (1) He authorized Ezra to go to Jerusalem and insure that God’s law was both taught and observed (7:14, 25). (2) He provided a generous grant to buy supplies and temple vessels for the temple worship (7:15-20). (3) He commanded the treasurers in the provinces to supplement anything else that Ezra needed, up to 3Â¾ tons of silver, 600 bushels of wheat, 600 gallons of wine, 600 gallons of olive oil, and salt without limit (7:21-22). (4) He exempted all temple officials and workers from taxation (7:24). And, (5) he authorized Ezra to set up a judicial system to see that these laws were obeyed and that violators were properly punished (7:25-26). Verse 27 makes it clear that it was none other than God who put it into the king’s heart to beautify the house of the Lord in Jerusalem. But Ezra still had to go and ask for it (7:6, Kidner, p. 62). Sometimes the Bible compresses a lot into a passing phrase (“the king granted him all he requested,” 7:6)! To go before such a powerful monarch and his counselors and powerful princes (7:28) and ask for such extravagant provisions for a subject people whom the king easily could have exterminated, took some courage! The source of Ezra’s strength is stated: “Thus I was strengthened according to the hand of the Lord my God upon me” (7:28). Thus we must work out our salvation with fear and trembling, and yet at the same time, it is God who is at work in us, both to will and to work for His good pleasure (Phil. 2:12-13). God’s blessing involves and requires our working, and yet it goes far beyond anything that we can do. I want God to do more through me for my life, for my children and grandchildren, and for my ministry that than I ever could and to go beyond my effort, my ability, or my expectation All of us should seek His blessing on our lives. But, how does that blessing come? He was a teacher well versed in the Law of Moses, which the LORD, the God of Israel, had given. The king had granted him everything he asked, for the hand of the LORD his God was on him. 7 Some of the Israelites, including priests, Levites, singers, gatekeepers and temple servants, also came up to Jerusalem in the seventh year of King Artaxerxes. 8 Ezra arrived in Jerusalem in the fifth month of the seventh year of the king. 9 He had begun his journey from Babylon on the first day of the first month, and he arrived in Jerusalem on the first day of the fifth month, for the gracious hand of his God was on him. 10 For Ezra had devoted himself to the study and observance of the Law of the LORD, and to teaching its decrees and laws in Israel. I realize that Ezra was specially gifted for the role of teaching God’s Word, and that not all are so gifted. But whether you are gifted to teach in a formal way or not, you are nonetheless required to learn God’s Word so that you know how He wants you to live. Ezra 7:6 says that he was “skilled in the law of Moses.” The word “skilled” means “swift” or “ready,” implying that Ezra was quick to understand and put together the various parts of God’s Word. While giftedness has something to do with it, skill also requires effort and practice. Ezra had “set his heart to study the law of the Lord” (7:10). It was a deliberate decision on his part to spend time in God’s Word. Even if you are so gifted, studying God’s Word will not happen automatically and spontaneously. You have to discipline yourself to do it, and the minute you let up, other things will crowd out the Word. Ezra “set his heart” not only to study God’s Word, but also “to practice it” (7:10). It is nonsense to say that you want God’s blessing while you are knowingly living in disobedience to His Word. The goal of Bible study is not to fill our heads with facts, although facts are important. It is to change our hearts and lives into conformity to Jesus Christ. Note, by the way, that Artaxerxes trusted Ezra’s character and integrity to the extent that he gave him enormous material resources and told him to use it for the temple. If anything was left, he told him to do with it according to the will of his God (7:18)! Ezra’s obedience was obvious to this king. Our obedience should be obvious to those in the world who know us. The study and obedience of God’s Word are the foundation for teaching it to others. Whatever you have gleaned from God’s Word and incorporated into your daily life ought to be passed on to others whom God puts in your circle of influence. If you teach others what you know in your head but do not practice in your life, you become like the scribes and Pharisees of Jesus’ day–hypocrites. This does not mean that you must be perfect before you teach God’s Word, but it does call for the integrity of admitting your shortcomings and the honest effort to apply it to yourself. One of the occupational hazards of preaching God’s Word each week is that I can easily fall into the trap of studying the Word so that I can tell everyone else how they should live, but not applying it to myself. The final end of God’s blessing should be our glorifying God for His abundant mercy. Ezra didn’t take credit for devoting himself to studying God’s Word or for his bold presentation to the king. He gave all the credit to God for His abundant mercy. Any good that appears in anyone’s heart, whether in a believer’s heart or in the heart of an unbelieving king, comes from God who deserves all the glory. When God blesses us, our response should be to bless God for His great mercy in using us. It is remarkable that God is pleased to be known in the Bible as the God of Jacob (Ps. 46:7, 11). Jacob was a man with many shortcomings and faults. He connived his brother out of the birthright. He bargained with God at Bethel, promising to follow Him if He would take care of him and bring him back safely to the land (Gen. 28:20-21). After his many years of trying to out-maneuver Laban, he returned to the land full of fear about what Esau might do to him. 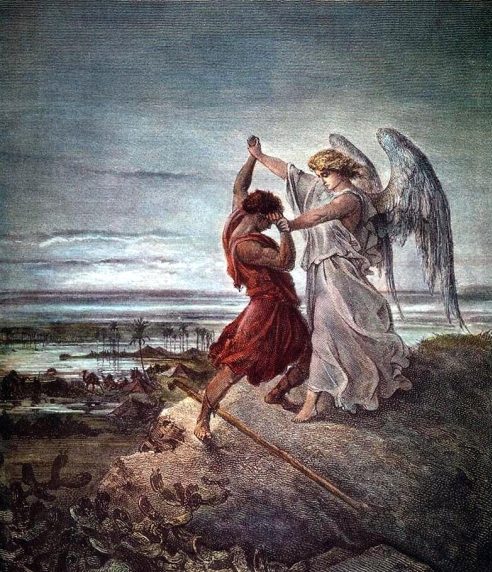 The night before he was to meet Esau, the Lord met him and wrestled with him, dislocating his hip so that Jacob always walked with a limp after the encounter. I hope that you will join Jacob and IÂ in praying, “God, I won’t let You go until You bless me.” His blessing comes to those who study and obey His Word with a view to imparting what they have learned to others, all to the glory of God. May the hand of the Lord our God be upon you for His name’s sake!